The Trust would like to extend it's thanks to Martin Turner, Bob Miller, and Jez Safford for organising a Brass Band Concert to help raise funds for the TIN HAT FUND. 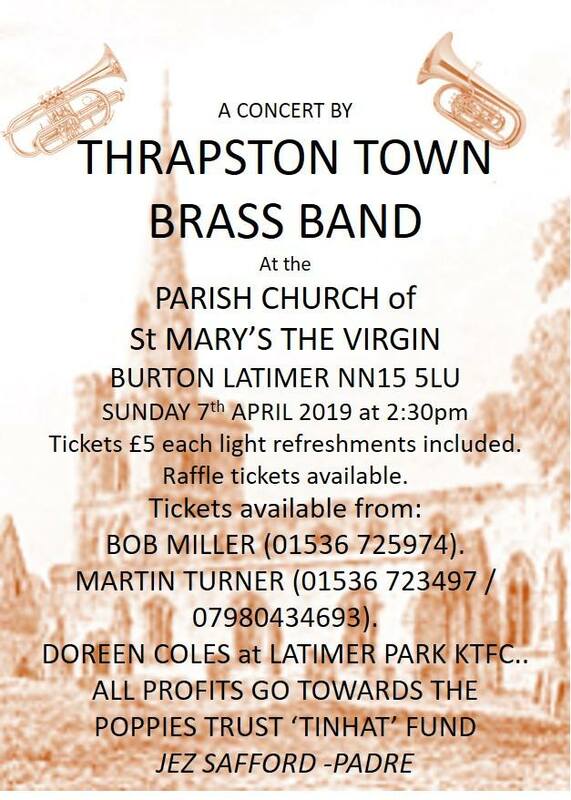 The Concert will take place on Sunday 7th April at 2:30, at the Parish Church of St Mary the Virgin in Burton Latimer, and will feature the Thrapston Town Band. 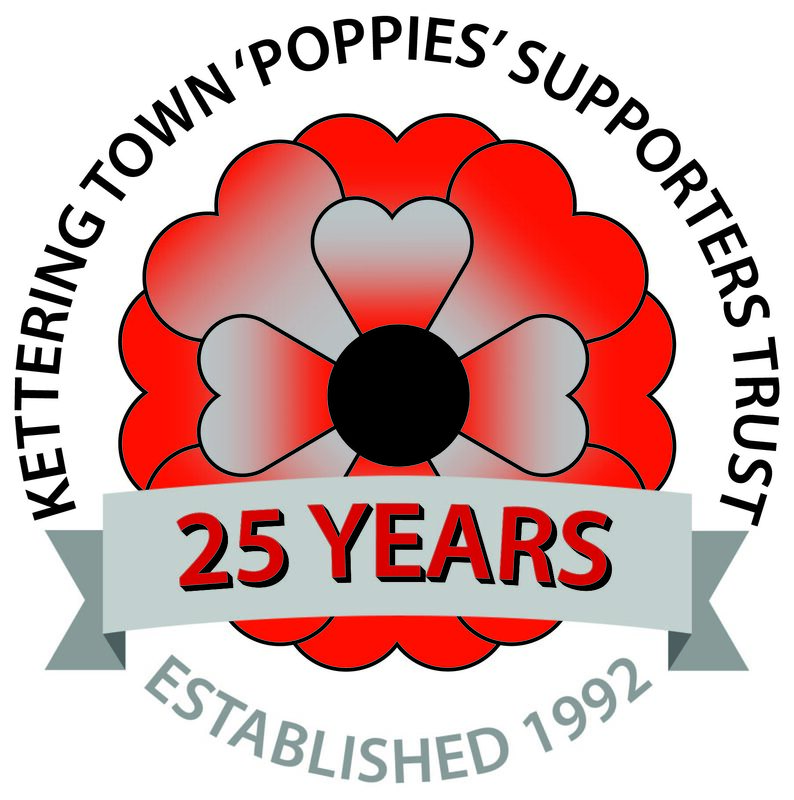 Tickets are £5 each, and available from Bob Miller (01536 725 974), Martin Turner (01536 723 497), or from Doreen Coles in the clubhouse at Latimer Park.